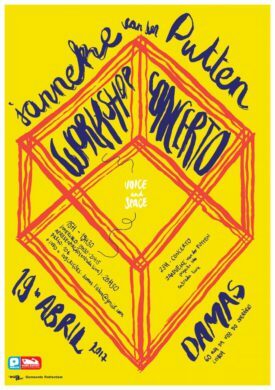 Workshop ‘Voice and Space’ with public presentation and solo performance at DAMAS, Rua da Voz do Operário, 60, 1100-621 Lisbon, Portugal. Public event at 20h30. The workshop will start at 15h00. FB event. 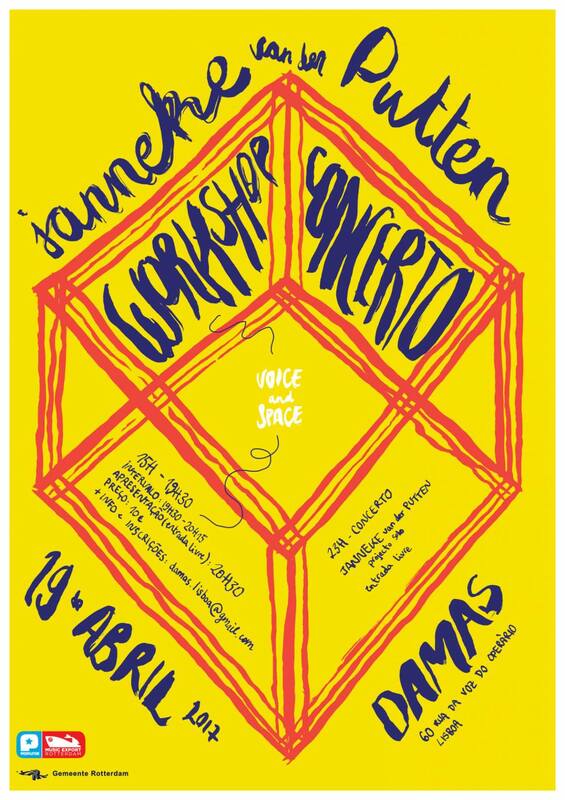 To participate please email to damas.lisboa@gmail.com & info@jannekevanderputten.nl, mentioning your name, age, and your expectations of the workshop. The workshop fee is 10€. ‘Voice and Space’ is a workshop about how our sensory body is positioned within our environment. Through exercises involving listening, breathing, singing, and walking, we observe and experiment with tones, vowel variations, and different bodily positions. Intuitively reacting to the surroundings, we explore how to use the space for the production of sound, amplifying and affecting the acoustic voice. The workshop was presented in among others Asimtria Festival (Peru), Telefonica Foundation (Peru), Tupac Cultural Association (Peru), Centre international d’art et du paysage (France), Espai Cocteau (Spain), and TENT (Netherlands). See documentation of previous workshops here. Read reactions from the participants of previous workshops here.